The new laser navigation sensor used to control automatic guided vehicles (AGVs) is a product that has enabled Kollmorgen to bring AGVs to new market segments. The sensor, which Optronic played a key role in developing, is manufactured to ensure full performance and usage in extreme conditions. “Optics and laser navigation in humid conditions has been a technological challenge for quite some time. 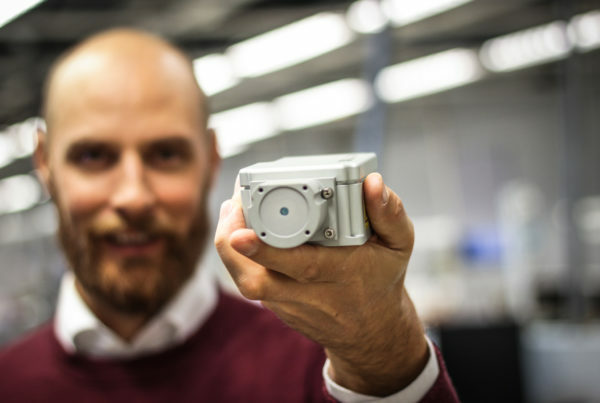 With our new laser navigation sensor, we can secure the performance of the AGVs, with almost no regard to the surrounding conditions,” explains Mattias Byström, Managing Director at Kollmorgen, a motion control manufacturer with distribution locations worldwide. One of many clients that have invested in the new LS5 laser navigation sensor is Italian company SITI B&T Group, which sells automated systems to the ceramics industry. SITI B&T Group purchased the laser navigation sensor units for forklifts used in conditions where there are rapid changes in temperature. 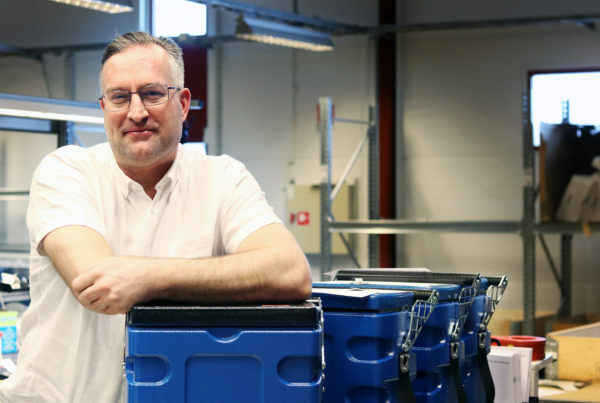 “Vehicles operating in cold storage units, humid conditions or outdoors are segments of the AGV market that have been made available to us with the new navigation sensor,” says Byström. For many clients, the improved performance in extreme conditions has been a key factor. Another feature of utmost importance is the product’s robust design. 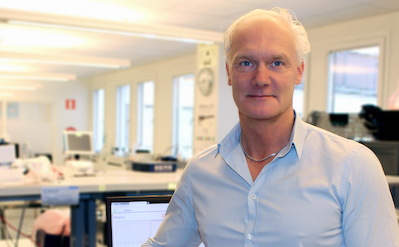 “The new technology combined with the design has resulted in a navigation sensor that is highly accessible and requires minimal maintenance” says Byström.